Preacher has some new company. 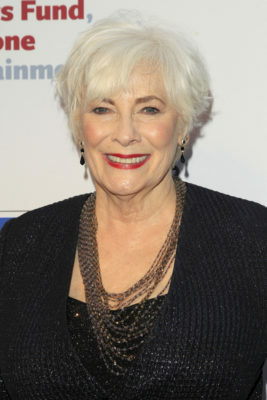 Recently, AMC announced Betty Buckley (pictured), Colin Cunningham, Jeremy Childs, and Liz McGeever have joined the TV series’ third season. On Preacher, Buckley will play Gran’ma, “a spiritist with true powers” and Jesse Custer’s (Cooper) only living family. Joining Buckley are guest stars Colin Cunningham, Jeremy Childs, and Liz McGeever. Buckley will be joined by a trio of recurring guest stars. Colin Cunningham (Falling Skies) plays “TC,” a man born of the bayou and the loyal caretaker and soldier for Gran’ma. Weaselly and wiry, he’ll gladly tell you about his perversions whether you ask him or not. While he seems like the friendliest guy you’ll ever meet, don’t make the mistake of turning your back on him. Jeremy Childs (The Last Castle, Nashville) is “Jody.” Massive and intimidating, Jody is the enforcer for Gran’ma and the only man Jesse’s never beaten in a fight. He’s nobody’s fool, and not someone to cross. What do you think? Are you a fan of Preacher? Are you excited for season three? I paid $9.99+tx for season one and $8.99+tx for season 2. You can’t lose at those prices.